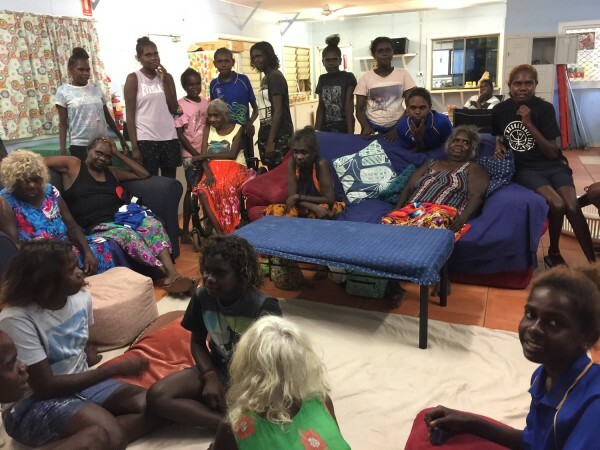 An exciting ‘Daluk pamper day’ was recently held at the Gunbalanya Community Care by the 'Deadly Daluk' program at Gunbalanya Community School. Around 30 young girls visited the Aged Care Centre with hair straighteners, brushes, nail polish and big smiles to spoil the ladies. The girls buddied up into teams of 3 or 4 and between them painted nails, brushed and straightened hair. It was a great morning and the ladies felt very special and the girls enjoyed it too. Big thanks to Amanda who runs the ‘Deadly Daluk’ program and it is hoped this can be delivered into a regular program during each school term.